BANGKOK -- Transportation infrastructure has always shaped the evolution and economic position of cities. First, our major cities largely grew around seaports. Next, urban development took place along rivers that formed the backbones of the industrial revolutions in Europe and the United States. Railroads opened up landlocked interiors of nations, fostering a third wave of city growth outward from their main terminals. Then, the expansion of suburban roadway systems created a fourth wave of urban development. We are now well into a fifth wave of transit-oriented development, where large commercial airports have become significant drivers of business location and urban economic growth. In some cases, airports are relocating the metropolitan center: their surrounding areas attract major concentrations of business functions previously confined to metropolitan downtowns. For instance, four of the Fortune 500 world headquarters (and eight of the Fortune 1,000 world headquarters) are located in Las Colinas, Texas, a suburb of Irving just east of Dallas airport. The Dulles airport region in Washington, DC, meanwhile, possesses the second largest retail market in the U.S. (just behind Manhattan). Hong Kong International Airport, Seoul's Incheon and Memphis International are leading air cargo and logistics centers, with the first two airports sustaining, respectively, Hong Kong Disneyland and New Songdo International Business District, a sizable airport edge city built from scratch over the last ten years. Aviation and airports are creating new urban power centers in the Middle East and Asia, challenging the likes of Frankfurt, London, New York and Tokyo in capturing global business. So instrumental is air connectivity to the growth of the commercial, financial, leisure and logistics sectors of Dubai and Singapore that both places may be legitimately described as global aviation hubs with city-states attached. They have, in fact, become full-fledged aerotropolises. But what, exactly, is an aerotropolis and why has it become such an important 21st-century urban entity? "What, exactly, is an aerotropolis?" Simply stated, an aerotropolis is a metropolitan subregion whose infrastructure, land use and economy are centered on an airport. It consists of an airport's aeronautical, logistics and commercial elements, and it connects transportation infrastructure with clusters of aviation-oriented businesses and residential developments that continually feed off each other and their proximity to the airport. The chief value of the aerotropolis is that it offers businesses rapid connectivity on a massive scale. Aerotropolis firms, many in the high-tech and advanced business-service sectors, are often more dependent on distant suppliers, customers and enterprise partners than those located in their own metropolitan region. For these firms, time is not only cost -- it is also currency. By providing these firms with rapid long-distance accessibility, the aerotropolis helps them cut costs, increase productivity and expand market reach, thereby becoming more competitive and participating more effectively in the international division of labor. Metropolitan and regional trade in high-value goods and services is accelerated through airline routes that operate as a "physical Internet," moving products and people quickly over long distances, just like the digital Internet moves data and information. "Time is not only cost -- it is also currency." The routers of this "physical Internet" are hub airports which anchor and sort growing airborne flows of high-value products and high-value people -- everything and everybody from sushi-grade tuna, biomeds and smartphones to investment bankers, corporate lawyers and foreign tourists. Airports have become business magnets and urban economic catalysts, attracting, sustaining and growing time-critical, aviation-oriented firms in their environs. Airports which offer a greater choice of flights and destinations, more frequent service and more flexibility in rescheduling (that is, they possess the most efficient physical Internet) have become especially valuable to firms and metropolitan regions that depend as much on "economies of speed" as others do on economies of scale or economies of scope. Operating as an "urban pipe" that minimizes the friction of distance, the aerotropolis provides these firms a speed advantage. Corporate headquarters are gravitating to airport areas as well and not just Las Colinas. Research at MIT has shown that over half of the Fortune 500 headquarters are located within 10 miles of U.S. airport hubs. This compares to 29 percent of all U.S. business establishments. "Over half of the Fortune 500 headquarters are located within 10 miles of U.S. airport hubs." 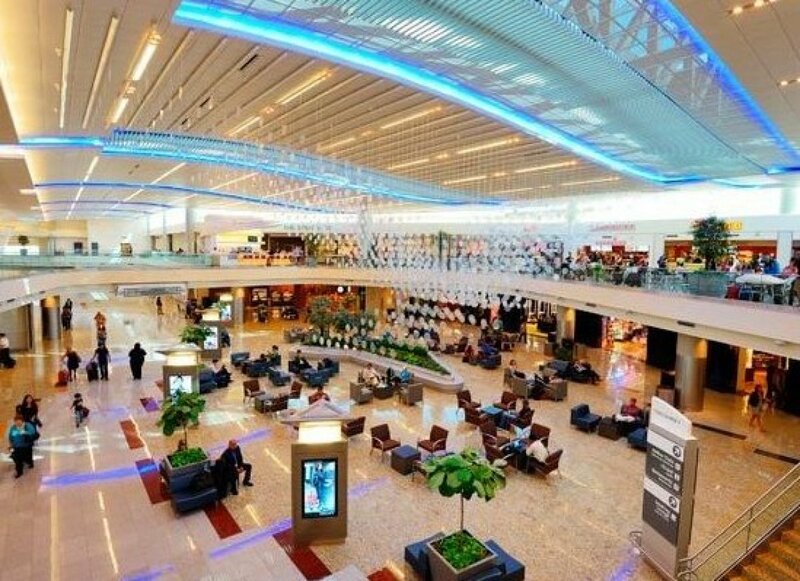 As increasing numbers of aviation-oriented businesses and commercial service providers cluster around airports, these areas are becoming significant urban growth nodes where air travelers and locals alike work, shop, meet, exchange knowledge, conduct business, eat, sleep and are entertained, often without going more than 15 minutes from the terminals. An airport city evolves on and immediately around the airport, serving as the multimodal, multifunctional central business district of an extended aerotropolis, anchoring aviation-enabled trade in goods and services and driving it throughout the broader metropolitan region. Spatially, just as the traditional metropolis is made up of a central city and its suburbs, the aerotropolis consists of an airport city at its core and outlying corridors and clusters of aviation-linked businesses and their associated residential developments. Some of these clusters are substantial and can be observed up to 20 miles from the busiest hub airports. 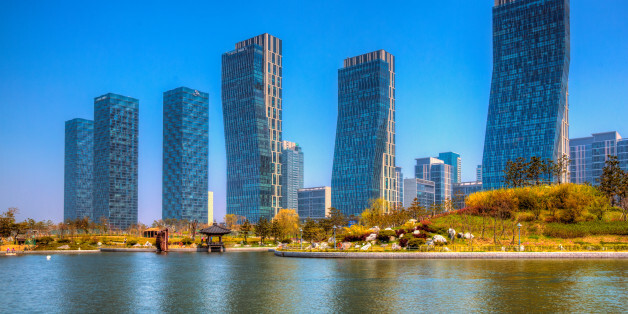 Some of the largest -- Zuidas, near Schiphol airport in Amsterdam; Las Colinas; and South Korea's New Songdo International Business District -- possess numerous businesses that routinely touch all major continents. No aerotropolis will look exactly like this illustration, but many will eventually take on similar features, led by newer "greenfield" airports on metropolitan peripheries that are much less constrained by internal space and prior decades of adjacent development. The aerotropolis is a much more dynamic, forward-looking concept than a static, antiquated airport that was developed well before aviation and airports took on their current functions. Multimodal transportation infrastructure (air, highway, rail and links to ports) will connect aerotropolis businesses to markets near and far, undergirding the aerotropolis' economic significance in the decades ahead. The "Aerotropolis Age," with aviation and airports increasingly determining the urban winners and losers in 21st century globalization, has already commenced. It will have immense ramifications for the business and competitive futures of our major cities and their broader metropolitan regions.